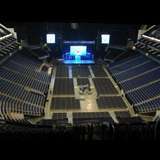 ... orchestral accompaniment by The London Philharmonic Orchestra at The SSE Arena, Wembley. Conductor John... extended holiday season. ... special UK arena shows in December 2019 as part of the movie’s 25th anniversary celebrations. Due to... holiday season.